We have had a lovely start the Summer 2018 with some great weather. Us Brit’s often complain when it’s too cold, and again when it’s too hot. However I think it’s fair to say we have been spoilt with lots of sunshine and warm weather and long may it continue. Many of you have been working hard, often not getting a lunch break or time to enjoy the heat of the sun on your skin. The small amount of free time you get during the day, you are looking at holiday booking websites or on the phone to a travel agent. Now your summer holiday is only a few weeks away but you feel pasty! Worried you will be that person around the pool that looks like Casper the ghost? At SalonSkincare we know how important it is to go on holiday with a glow helping you to look and feel great. We are proud to stock Sienna X, with a range of products for all skin shades. Sienna will give you that professional sunless tan. A history steeped in tanning. Sienna X started life creating premium beauty products for salons and therapists. We are pleased to make it available for your home so you can get that salon experience. Sienna X is a multi award-winning brand having worked with a number of high profile celebrities, bloggers, influencers and TV shows. Ever wondered how the contestants on Strictly Come Dancing got a great looking tan? Yes you guessed it! They use Sienna X. Some brands are excluded from our promotional codes. The following brands are excluded: Moroccanoil, Alpha-H, Resultime and Code Beautiful. The offers won’t be applied. Nevertheless some of these brands have their own offers and deals so you won’t miss out! New Range Alert: Sublime Skin by Comfort Zone! Join us in welcoming the Sublime Skin range to the Comfort Zone family! If there’s one thing we all love, it’s an anti-ageing product that can rewind the tales of time. So it’s time to get excited about Sublime Skin, which is the latest range from Comfort Zone that tackles skin degeneration and ageing (yay). The products are designed to restore water, proteins and lipids which ultimately leave your skin plumped, firm and youthfully radiant. Doesn’t that sound great? To celebrate the launch of Sublime Skin on Salon Skincare, we have an incredible giveaway for you too! Get to experience a fabulous treatment at one of the beautiful Comfort Zone Spas in the UK. All you have to do is buy a product from the Sublime Skin range and you’ll automatically be entered into our prize draw. Simples! Our beauty blogger of the month, Ella Ryder, talks soft hair. While some are blessed with a silky smooth mane, some of us struggle to keep hair feeling soft and manageable. I personally have a lot of fine hair which is naturally quite wavy. It was quite damaged from highlights over the summer and now having gone back to the dark side, I’ve been trying to repair my hair by giving it the nourishment that it needs (and deserves)! I’m quite fussy about what products I use because I don’t like to wash my hair everyday and I find that a lot of shampoos and styling products can weigh my hair down. I’ve been using two products recently that have helped keep my hair feeling like it hasn’t been put through its paces. 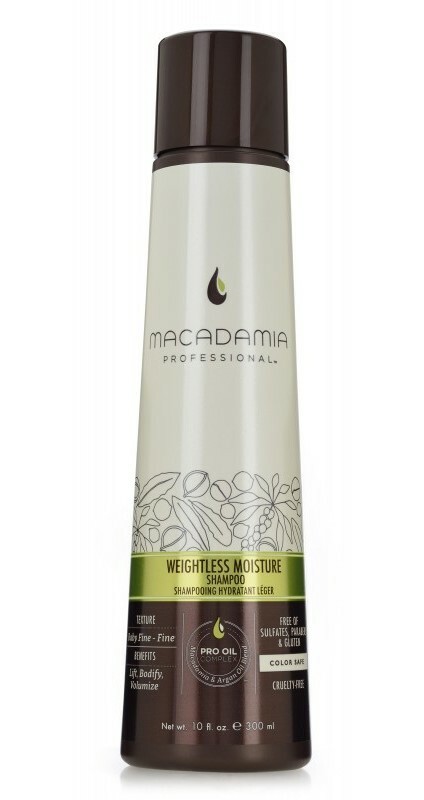 The first is the Macadamia Professional Weightless Moisture Shampoo, £18.90, 300 ml. It’s colour-safe and cruelty, sulphate, paraben and gluten-free. This particular formula is designed to cleanse the scalp and fine hair, promoting lift, body and volume while retaining hair colour. Pretty much my perfect product! After washing and drying my hair I like to use a serum to help tame any flyaways and add a little shine. 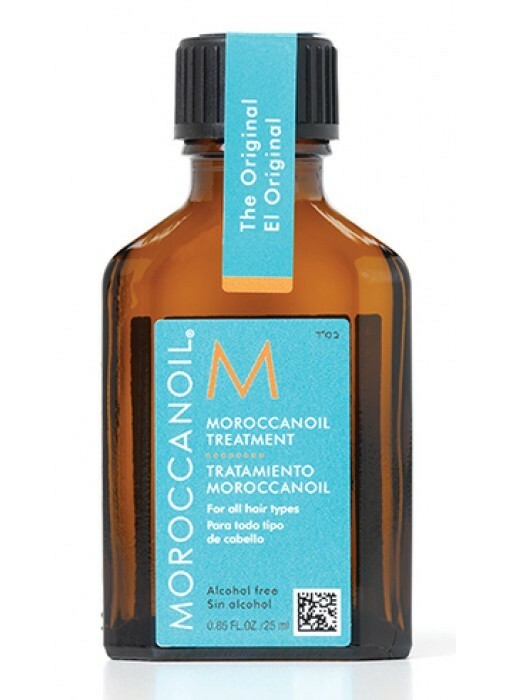 My favourite product at the moment for this is the MoroccanOil Treatment Original, £13.35, 25ml. I have the travel size but I’ll definitely be investing in the larger one when I run out. You can use this on wet or dry hair; I prefer it on dry hair because I can tell how much I need without overusing (it goes a long way). I was a bit sceptical before I bought this as there was a lot of hype around it, but I was pleasantly surprised. As well as keeping my hair in a good healthy condition, it smells incredible – something I didn’t really expect. I would call this product a green juice for your hair! A couple of extra tips to keep hair soft and prevent damage is to use snag-free hair bands or a clip to keep hair off your face. A good quality wide-tooth comb like this one is also ideal for when you’re brushing wet hair. Follow these tips and I guarantee your hair will feel so much healthier in no time.